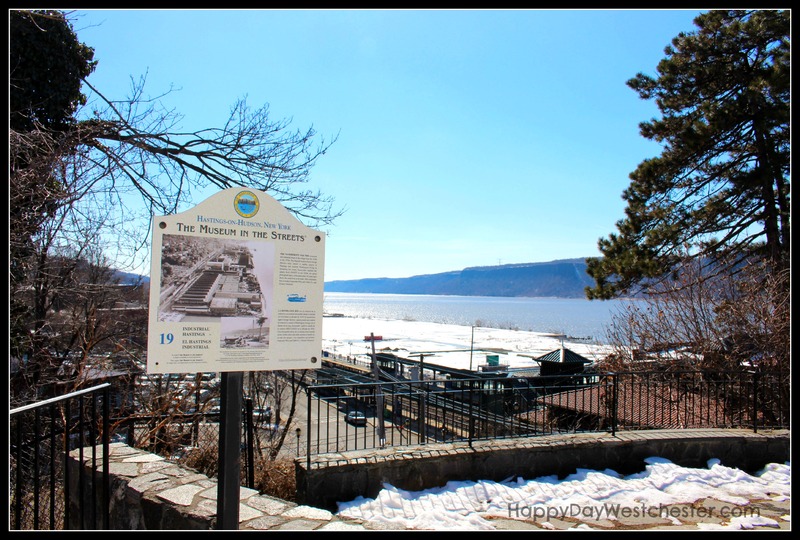 Last weekend we went exploring in Hastings-on-Hudson. Hastings is a village just perfect for a long walk- old buildings, windy streets, river views, great restaurants. If all this were not enough, Hastings also boasts another huge draw to entice people to walk the town: The Museum in the Streets. Now that I’ve experienced it first hand, I have to wonder: why doesn’t EVERY town have one? 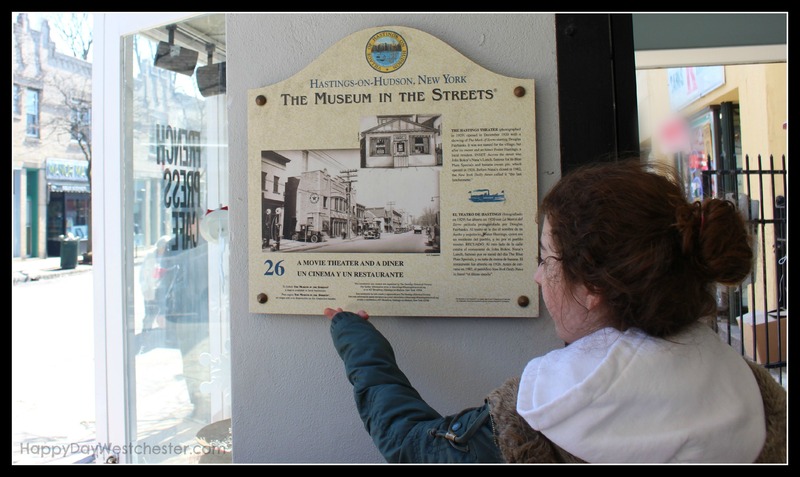 The Museum in the Streets is a history walking tour of the village. Brilliantly, the Hastings Historical Society decided to get many of their old photos and interesting stories from days gone by OUT of the archives and onto signs right along the streets and parks of the town. At each stop along the route, you’ll see an old picture of what that spot used to look like, along with notes about the old buildings, shops or life in the town from yesteryear. This is the perfect thing to spice up a long walk through a new place, and keep the kids moving and motivated – searching for the next sign on the route. And who doesn’t love a map? 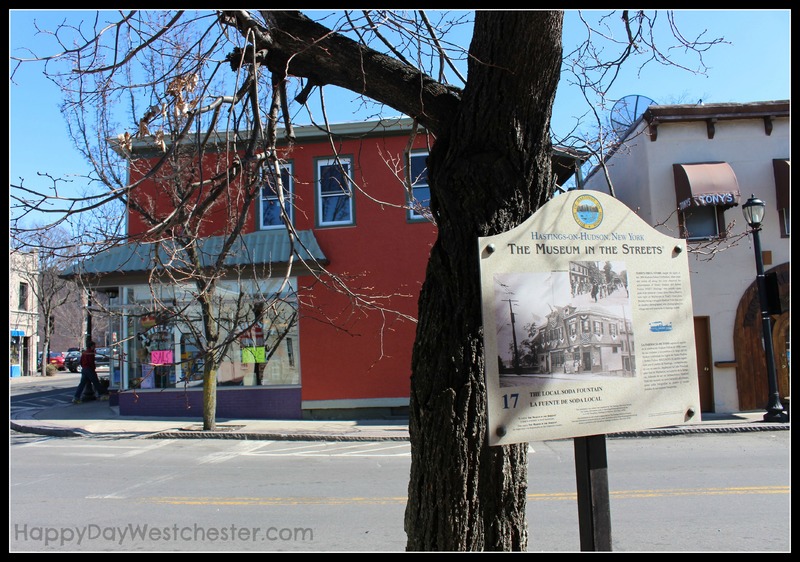 We parked in the center of town, on Main Street, just a few moments off the Saw Mill River Parkway. The walking tour starts right there in the Boulanger Plaza parking lot. A large sign posted in a walkway near the lot shows you the route of the walking tour, and lets you get your bearings (or you can print a copy of the map here). As we made our way through the town, walking from sign to sign, we explored the shops, played in the park, read some history and marveled at the views. The original Fire Company is older than the town itself! The tour took us right through the downtown area, onto residential streets, past a scenic overlook and down to the water, at Waterfront Park. 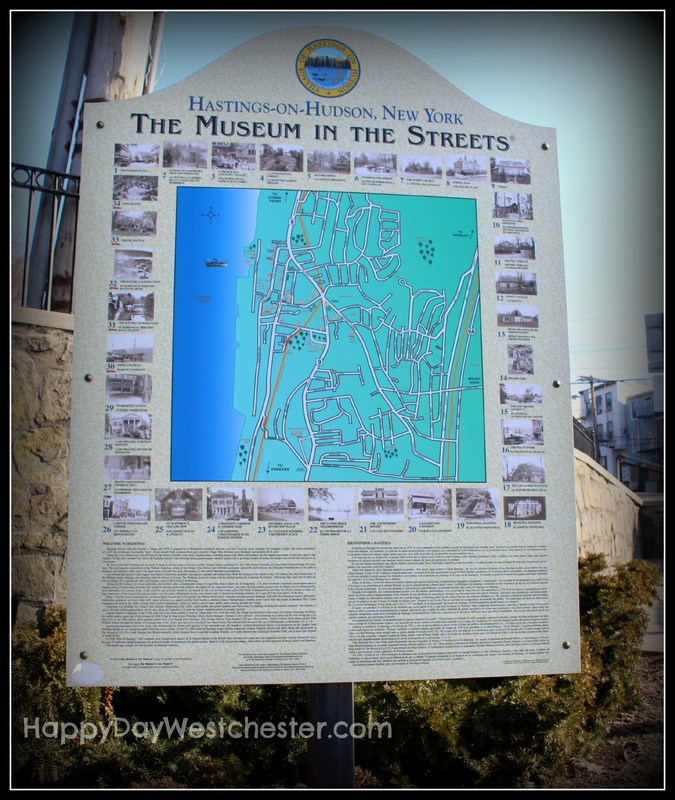 If you agree a long walk in a beautiful and historic town is a great way to spend an afternoon- consider Hastings-on-Hudson, and the Museum in the Streets. Follow this link to connect to the website for the Hastings Historical Society. Be sure to download the map of the route before you go. The signs each stand alone, so you can do as many, or as few, as you like. We jumped around, visiting only half the signs, and doing them out of order, with no problem. Westchester is right in our backyard, just waiting to be explored. Give your family a mini-adventure and head out to a town you’ve never visited….who knows what you’ll find? 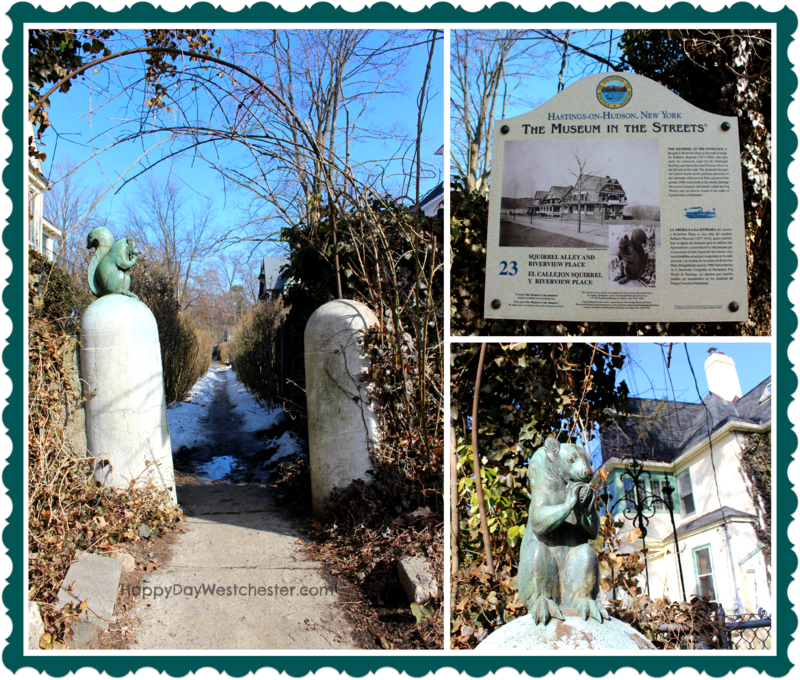 Feature photo: Squirrel Alley, a path leading to Riverview Place, Stop # 23 on the Museum in the Streets.